We had a rare day out of the space yesterday. Today the focus shifts from The Reverse is Also True to the rest of the programme for the residency. 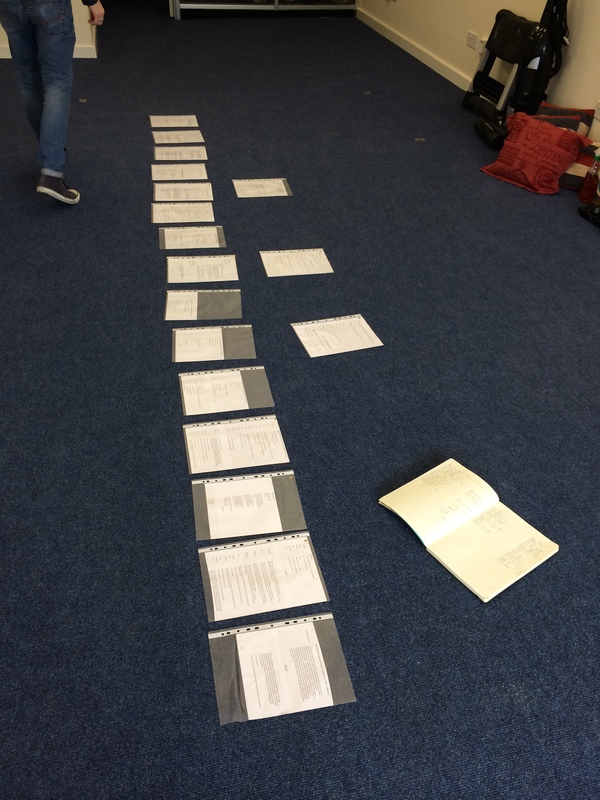 Planning is also well under way for Another Hundred People written by Paul Guest. If you have never experienced promenade theatre before then nows your chance, come along and see this wonderfully intimate piece. Also a reminder that tomorrow we have a performance of The Reverse is Also True. 7.30pm at number 47 on the High Street. Hope to see you all in the next couple of weeks.